Whether they want more commissions or they just want more freedom, many modern energy brokers are becoming independent. But gaining independence comes with many pitfalls. Obtaining quality supplier relationships can seem impossible, getting commission payment terms that suit your business requirements can be downright frustrating. And what happens if you hit it big? Are you prepared for success? 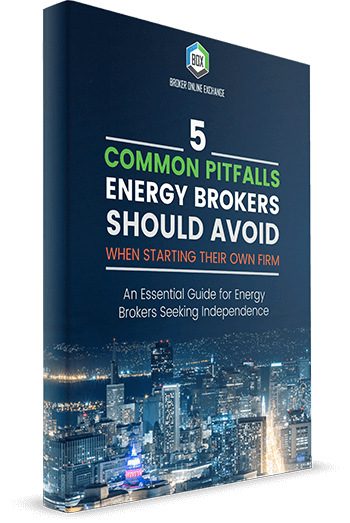 Energy brokers can't avoid these questions and concerns when becoming independent. In this eBook, we'll help brokers overcome some of the toughest pitfalls they face when gaining independence. We'll make sure you can answer the toughest questions, so you're prepared for your challenges and equipped to succeed. Managing the administrative work so you can spend more time selling energy. Building and maintaining supplier relationships with the best suppliers. Getting commission payment plans to suit changing requirements. Anticipating growth so you're prepared for success.